The porters pack my tent and soon there is a line of headlamps ahead, trailing the lead guide. It will be an extraordinarily long night. 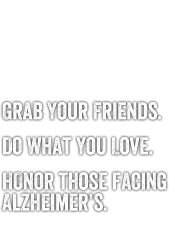 One that I am embarking upon as part of The Longest Day, an Alzheimer’s Association event that involves thousands of participants throughout the world who are passionate about finding a cure for Alzheimer’s and providing assistance to all those who have this illness. As a boy, I overheard stories of how Grandmom was placed in an asylum because Grandpa couldn’t take care of her. She would wander away (sometimes in the middle of the night, sometimes with few clothes) down the street, challenging every compassionate act provided by Grandpa. Many years later, the symptoms of this merciless disease became evident as my mother would demonstrate unusual behavior, make strange comments, and frighten us with her driving, lack of personal hygiene, financial mismanagement and delusions. The remaining family wrestled with how to keep mom safe in her own home, providing her with ready cooked meals, access to emergency care, therapeutic help and community services. Yet, in the back of our minds and contrary to the hope in our heart, we knew we were losing. Mom was eventually placed in an assisted living after we tried keeping her in our homes. The house was sold and finances ran low. As I looked into her far away eyes, sensing the heaviness of my own, I was struck by her willingness to be lead anywhere in a simple, child-like manner. Trusting everyone, believing anything, this child-mother of mine seemed at peace in the face of not even recognizing who I am. During the course of my fundraising, I reached out to everyone I knew and could remember— high school classmates, military companions, colleagues from different careers, clients I work for, family, friends and total strangers. I wore my The Longest Day t-shirt everywhere, encouraging conversation. I solicited help from family and friends, and promoted my goal in social media, the newspaper and at community colleges. I told my story on a handout and on a donation form. I had handouts wherever I went. I even took time to sit in a shopping mall on a community services day. Most importantly, I offered people a chance to honor and memorialize their loved ones by promising to take their name to the top of Mt. Kilimanjaro and leaving a steel tube that would last for eons on the top of the mountain. As I hike for the next seven hours towards the summit, I not only remember my mother and grandmother, but also the 47 other names I have printed on a scroll. I speak aloud their name and let the breeze carry it from the mountain top. I will be at the summit soon, and I will bury this scroll within a tube under some rocks in a hollow, out of sight. There it will stay for hundreds of years, in memory and honor of our loved ones, just that much closer to the heart and hands of God. 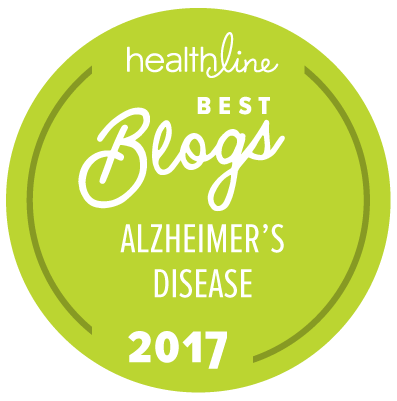 About the blog author: Bernie Buckley is coupling his interest of hiking with “doing something with a purpose.” His team “Climb 4 Alzheimer’s” honors his mom who had Alzheimer’s. He is trekking up Mt. Kilimanjaro, and his siblings are climbing mountains where they live. They are all helping to raise awareness and funds in Alzheimer’s Association The Longest Day®, a sunrise-to-sunset event to honor those living with Alzheimer’s disease and their caregivers. Thank you for your dedication to the fight against this disease. My mother has it and lives in a nursing home. I feel guilty that I cannot take care of her at home, like she deserves. I see her slipping away each time I see her or talk to her. It saddens me deeply. I miss her, even though she is not gone. And I know that that could be me in 20 or so years. You are doing a huge service to many people. Thanks is not enough. On The Longest Day, I Will Fight to End Alzheimer’s For Alzheimer’s. For Theatre. For my Mom.